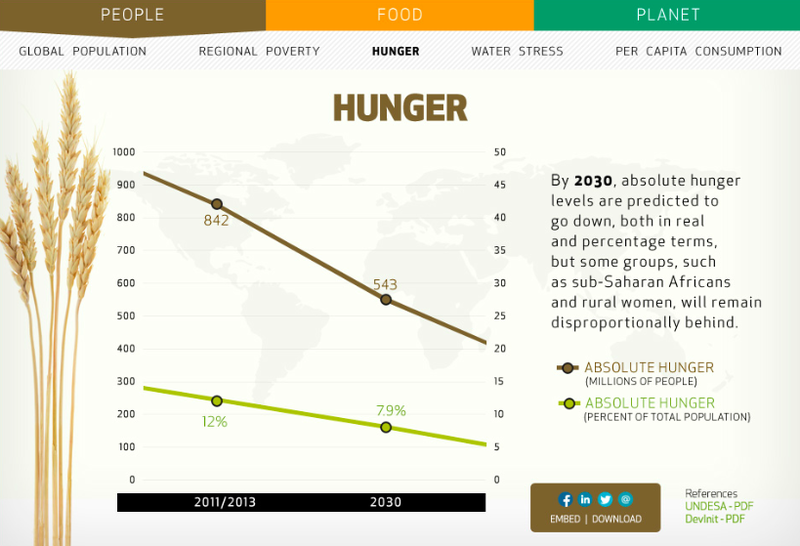 infographic – One Billion Hungry: Can We Feed the World? In the policy and advocacy sphere finding the best way to communicate to a broad audience is a constant challenge. As we have seen while following the COP19 in Warsaw, urgent messages, such as the importance of including agriculture in climate negotiations, do not always get through to those making decisions. The challenge is to unravel complex data and present it in an accessible and powerful way. Enter the infographic, which lays out hard hitting facts and figures in an aesthetically pleasing manner. Just this week, we’ve stumbled upon several new infographics, which help to explain how the world works and where we’re heading in the future. Despite (or perhaps because of) agriculture remaining side-lined at the COP, it may be that agriculture groups will need to refocus their efforts on other UN processes instead. The post-2015 agenda, for instance, offers such an opportunity, as a new infographic by Farming First illustrates. The infographic, entitled Food and Farming in 2030, presents a range of trends and data for the year 2030 (when the Sustainable Development Goals or post-2015 agenda is set to expire). In essence, it lays out where we need to be by 2030 and how can agriculture help us get there. For example by 2030, agriculture will have the potential to mitigate around 7.5% of the world’s carbon emissions (3% currently) and so excluding agriculture from climate change talks is a major missed opportunity to tackle climate change. Farming First, a coalition of multi-stakeholder organisations that come together to “articulate, endorse and promote practical, actionable programmes and activities to further sustainable agricultural development worldwide” have produced a whole range of infographics on: Agriculture and the Green Economy; the Female Face of Farming; and the Story of Agriculture and Climate Change. Aside from their awareness raising and policy influencing work, Farming First have amassed over 100 case studies from around the world, which demonstrate best practices in sustainable agricultural development. 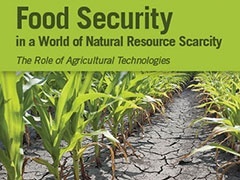 They also list the food and nutrition security initiatives occurring across the globe and in one of their recent blogs discuss whether social media can change the world. For policy advocates they have also produced a Guide to the UNFCCC negotiations on agriculture, to help communicate and campaign on the importance of agriculture. Given the outcomes of COP19, we have much work left to do if agricultural greenhouse gas emissions are to be curbed and smallholder farmers supported in adapting to climate change. Although infographics alone are unlikely to be a driver of change, their images can be powerful and they can raise awareness, communicating important information quickly and ultimately driving societal pressure for decision makers to take notice.